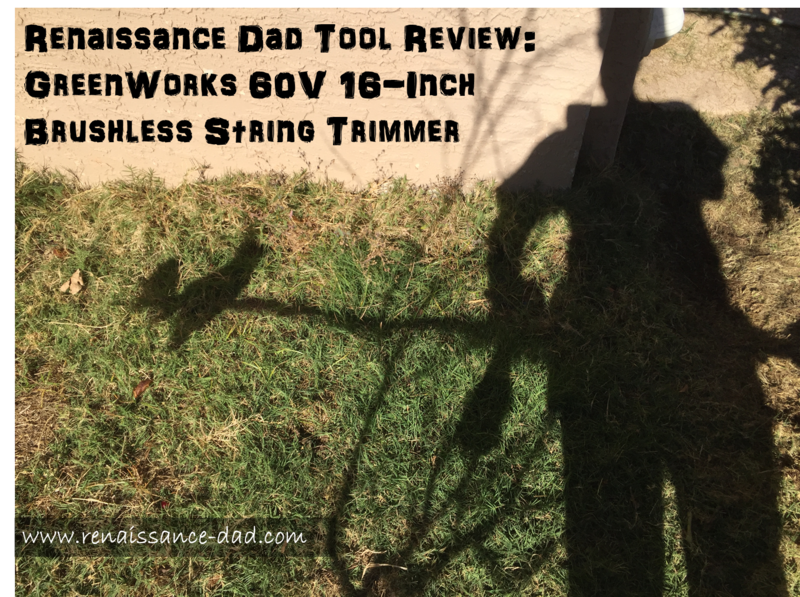 Three-and-a-half years ago I wrote an article about my new GreenWorks string trimmer. I was so happy with the performance that I labeled it "The Best", being extremely content with the 40V power, the compatibility with my other 40V tools, and its ease of use. That string trimmer has been fantastic, and I have not been on the lookout for a new one. But then I got my hands on a 60V trimmer (full disclosure - GreenWorks gave me this trimmer for an honest review). Since I had a new 60V mower, I figured I would try out the string trimmer to see what I thought of it. Wow! What an upgrade. Right out of the box, this trimmer felt heftier than its predecessor. While I never felt like anything was lacking from the previous model, the new 60V string trimmer was more solid. It took about five minutes to assemble, and I was ready to try it out. On a side note, I read through the instruction manual, something that I seldom do. I was really happy with one of the warnings. "Warning: Do not allow familiarity with this product to make you careless. Remember that a careless fraction of a second is sufficient to inflict serious injury." Great reminder, GreenWorks, and something that we could all stand to be reminded of on a regular basis. It was easy to start, with no gas or oil to mix, and a quiet running motor. I was in business right away. The tool is longer than the 40V, meaning less bending over while working. I was afraid that the larger battery would make the trimmer too heavy to work with, but it wasn't any heavier than my old string trimmer, and the new model has an adjustable shoulder strap to boot, reducing fatigue. I started out on my front lawn, just trimming the edges. The line is thicker than the previous model (.080", compared with .065"), meaning that there was less breakage during usage. When the line did start to wear down, the trimmer features a bump feed, meaning that the string advances with a little tap. The 16" cutting path is more than sufficient for any task (and an increase from the 13" path with the 40V model), and even with my large yard I could not wear down the battery in any significant manner (the 60V batteries have meters on them showing how much juice is left, great when switching the battery from one tool to another). My next major project was trimming my parents' back yard. While the yard is not large, it had very healthy, very wet, very long winter grass. Too long and heavy for a mower, I took the trimmer for a spin around the yard. Again, the 16" path made the job easy, and the bump feed was great to keep moving around the yard. In no time the yard went from jungle-like to manicured. I also tried this out on a patch of weeds and grass growing in the rocks in my yard. Again, in no time I had moved from wild to tame. One additional upgrade with this string trimmer is the brushless motor. Without geeking out too much, if you're not familiar with brushless motors you definitely have some reading to do. Brushless motors use magnets instead of brushes, meaning that there is less friction and less voltage drop when running the motor. Essentially, more power goes to the task at hand, and the wear on the tool is less. Maybe that's why this comes with a 4-year tool warranty (2-year battery). Finally, the string trimmer accepts common string trimmer attachments. While I don't currently own any of these, I may look into purchasing a chainsaw attachment or a cappuccino foaming attachment to try out with this tool. GreenWorks, you have done it again. You have improved upon a great tool, you have wowed me, and you have made me realize that my use of the adjective "best" almost four years ago is now obsolete. While my old trimmer will always have a place in my heart, it has now been replaced with my GreenWorks 60V 16-Inch Brushless String Trimmer. Move over grass and weeds. Watch out edges of yards. This Renaissance Dad is ready for some serious yard work.